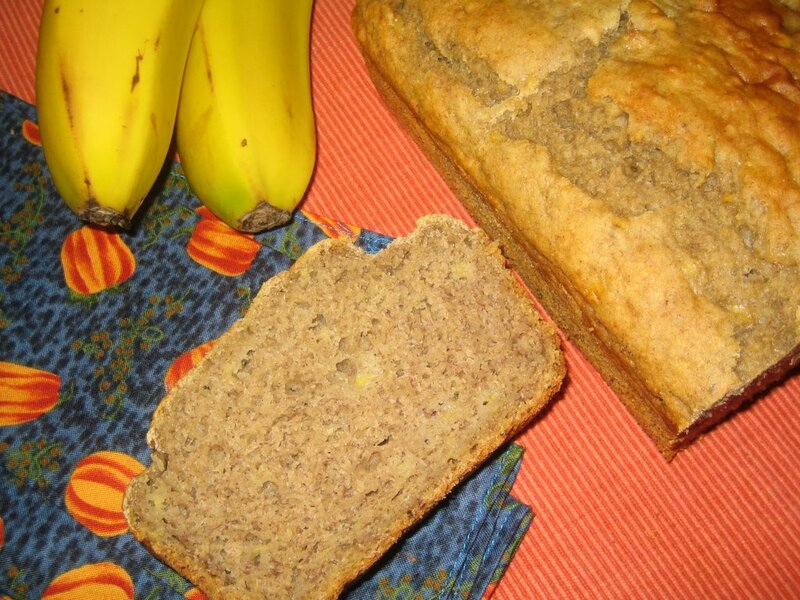 This Maple Banana Loaf from The Everyday Vegan is pure and simple. No fussy ingredients or equipment needed, just the basics. In this particular loaf (pictured), I substituted barley flour for the usual whole-wheat pastry flour. The result was excellent. In fact, I think I prefer using barley flour over wheat flour, as I do with most baked goods now. Perhaps the only thing better than eating homemade banana bread is the sweet aroma that drifts through your home while it bakes and then lingers hours later! so, can you substitute barley flour in equal amounts for wheat flour, or do the amounts need to be adjusted? Yes, I have found that barley flour substitutes equally for wheat flour. In cookies, loaves, muffins, just about all baked good recipes I have found barley flour excellent to use. Of course it is more coarse than white flour, but in some recipes this works nicely, and it is no more grainy than whole-wheat flour. I use the Bob's Red Mill brand of barley flour, fyi! If you're ever down in Portland, you've got to make a trip out to Bob's Red Mill. It's so much fun! I actually bought some barley flour at Bob's the last time I was there and hadn't used it yet. Now I'll have to try out your recipe with it. I got my copy of The Everyday Vegan yesterday and am working my way through reading it at the moment! I wish maple syrup was cheaper in the UK though, a bottle that holds probably a cup costs around US$5.50 which is too expensive for me to be using it in large quantities. We don't really have anything else here that I can sub either that I've found so far! Looking forward to adding new things to my menus from the books! eventhough I HATE Bananas...I think I would like these! YAY! Oh, I'm a little envious Julie!! Sounds like fun, at least for us 'foodies'. I can spend hours in a whole foods store/market just looking around, when my husband has had his limit at about 20 minutes! I really like using barley and spelt flour. For some reason, whenever I use barley flour I am happy with the results, so I hope you find the same thing... let me know! Hi Anna! Maple syrup is pricey here too, but maybe not as expensive as in your area. I do try and stock up whenever I catch a sale at our grocery and whole foods store. Try to keep an eye out for any sales. Certainly there is no substitute with the imitation maple syrup - forget about buying/using that. Nasty stuff! Hi Amy! I like using alternatives to wheat flour for a couple of reasons. First, simply for variety, because wheat is in so many bread and cereal products. I never buy wheat pasta for instance. Instead I buy spelt, rice or kamut. But we have whole-wheat breads and tortillas, and pizza shells, etc. So, when baking I like to switch up the flours at times, using spelt, barley, or ground oats. All of these are gluten-grains (unlike rice or millet flour), and so they work well as a wheat flour substitute. Secondly, my daughter has shown some sensitivities to wheat (and my husband seems to as well), so again, I try to vary up the grains we are eating where I can. I have found both barley and spelt flour to be great substitutes for wheat flour. Barley flour is a little more coarse than wheat flour, but has a nuttier flavor I think. It's not that much more coarse than whole-wheat flour, though, and I find it mixes well without getting too 'gummy' as wheat flour can become (since the mixing activates the gluten in the flour). Whew, a long-winded answer... but, hope that helps! Thanks so much for the info, Dreena. I am going to check out barley flour on our next trip to the co-op. We're already used to using whole wheat, so it sounds like it shouldn't be too big of a switch!